Picking of Nori has begun in November, and soft and fragrant Nori, called “first picked Nori” since the end of the year, is on the market. In recent years, opportunities to give luxury Nori as year-end gifts are getting less, so it seems that scenes of enjoying delicious “first picked Nori” for the New Year are decreasing. 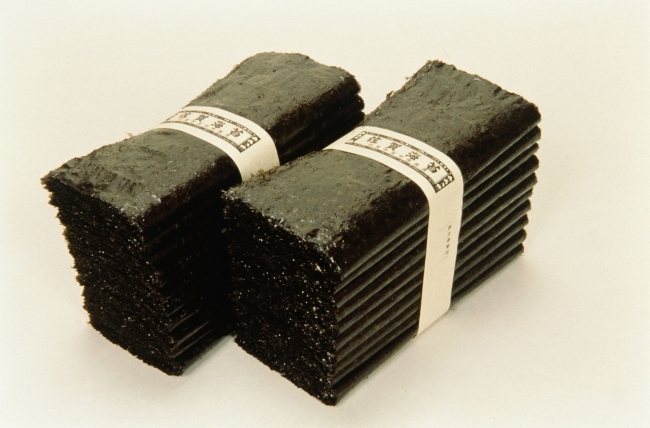 Nori is one of the foods symbolizing Japanese food culture. It was once an indispensable item for Japanese breakfast. Now a day, the chance to eat Nori is increasing when eating an Onigiri of convenience stores. 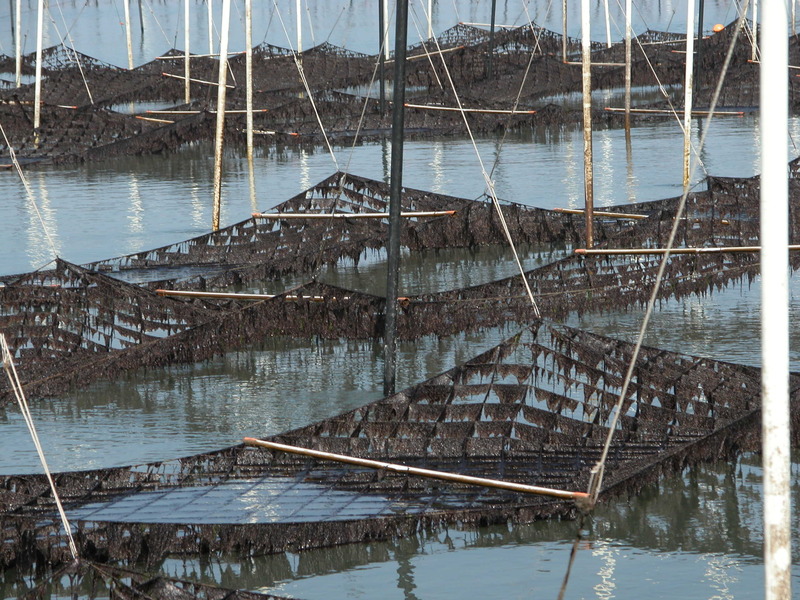 Recent Nori aquaculture production in Japan is estimated at about 7.5 to 8 billion sheets. Nori production industry is facing a serious change, due to the declining consumption of high quality Nori, and due to the rising demand of inexpensive commercial use. It is forced to place importance on quantity rather than quality. In this situation, it will become increasingly difficult to compete in international market with neighbouring producing countries such as Korea. By the way, do you know that February 6th is “day of Nori”? From the origin of the fact that Nori was designated as one of the tax goods when the “Taiho” rule book was issued on February 6th in 702, the “day of Nori” has been stipulated since 1966. It may be that a toasted Nori is offered together with Sake at a traditional soba restaurant. Why do not you try experiencing toasted Nori served in a wooden box with a small charcoal fire called “Hoiro”? It is pretty stylish.